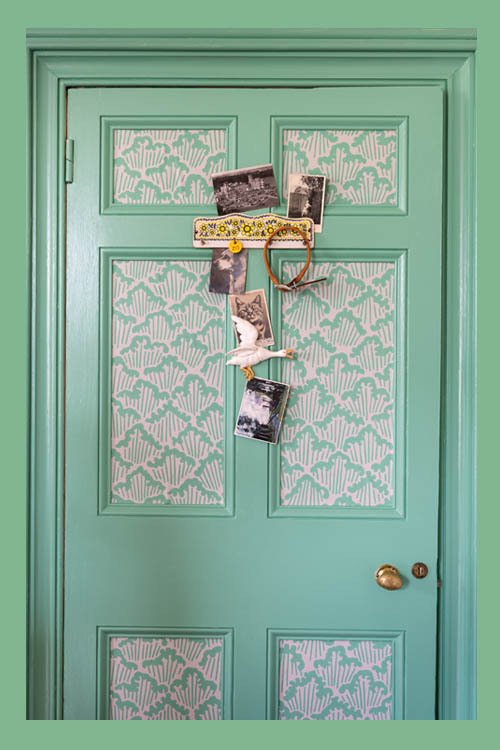 There is so much I love about this door which is sporting Aranami, a wallpaper from Farrow & Ball's new collection. I seriously can't get enough of a good jade green (the paint color is Arsenic No. 214) and I LOVE how the wallpaper is used on the door - a great idea for using wallpaper in small doses. I'm also pretty smitten with that duck. 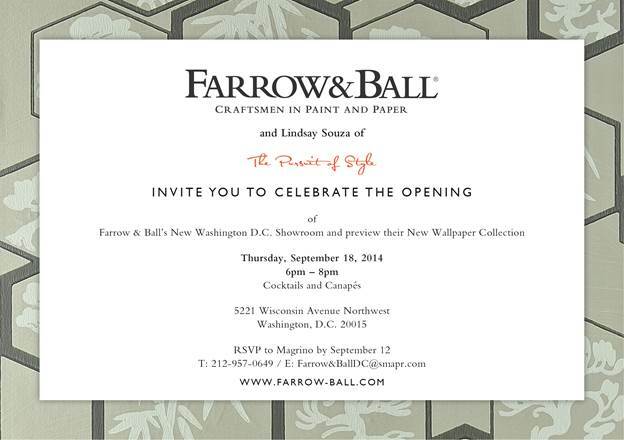 Speaking of Farrow & Ball, the purveyor of high-end paints and wallpapers is opening a new DC showroom right near my office in Friendship Heights. They are having an opening soiree on September 18th to celebrate - details below. I believe its open to anyone, just RSVP. I'm hoping to attend so maybe see you there?